Canna's book really gave me the confidence to start managing my money! There are several great insights that inspired some key mindset shifts I had about wealth and managing my finances. I feel that I now have a great foundation of steps to kick start investing and saving. Highly recommend this read! I wish someone had given this book to me 20 years ago! But as Canna says, no regrets, every day that you start working towards your financial goals helps you to take advantage of the benefits of compounding interest and growth for your finances. It's an easy to read guide that gives clear, doable actions on how to start right now in building wealth for the future. A stark reminder on the necessity of goals and daily focus on your financial position. I can't recommend this book enough - if you want financial independence for your future, if you want to feel happy and certain about your financial position, and if you want to get excited about money and wealth, then this is the book for you! I love this book. It now has pride of place on my desk where I keep my most used and referenced books. Canna explains simply but thoroughly the steps anyone can take to get out of debt and start creating passive income. 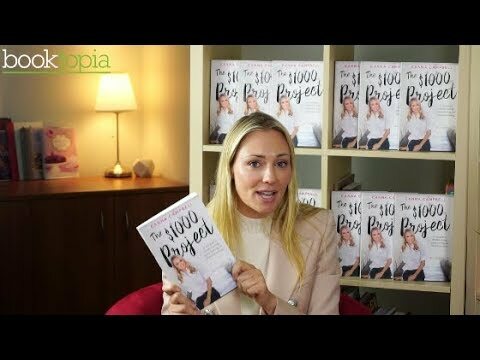 Through her own experience and hardship she shares the struggles she overcame and shares stories of others who have started their own $1,000 projects. Finally I understand shares and I am not scared! Canna breaks down shares and shows you how to build a share portfolio safely. I used to be so confused about investing but she makes it fun and empowering. So good! A warm and engaging book. Explaines everything so clearly and you can tell the writer genuinely cares about helping the reader make a difference. I have never been so inspired by a financial book before and will be rereading this and sharing with my friends. Loved it! The perfect motivation and inspiration for 2019! Loved this! So achievable and inspiring but also practical. Now I am No long scared of investing in shares and see how quick and easy it is! I do not like giving negative reviews but unfortunately I do not feel this book has offered any new information I was hoping to gain from it. The content heavily focuses on the $1000 project. The project itself is a good initiative but I think if you were to summarise the content relating to the project itself, it could have been covered in a chapter or two. Too much focus on how to reprogram your mind and think positively. When it comes to money I do not believe that thinking positively will bring more wealth. I was expecting to gain information on how to use the money other than to pay your debts. There was only a brief mention on how you can purchase stocks but really not enough to give you the necessary background knowledge. I think you can get an idea about the project from her YouTube videos alone. I would recommend this book if you have no access to the internet and are not subscribed to the author's YouTube channel or if you need basic tips on how to reduce your debt. If you are after information on how to grow your wealth this book is probably not the best pick. I saw a TV program which featured the author being interviewed about this book, and decided to buy it, based on what I'd heard in that interview. It's a real "change of mindset" book, with a lot of good advice. I wish this book had been available when I was entering the workforce - I would be in a much better financial position by now, if it had. Highly recommended!